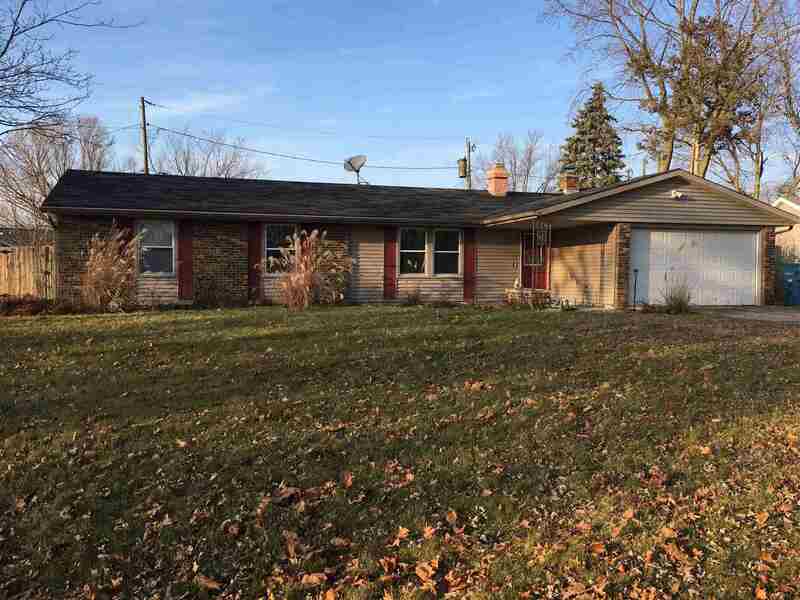 This gorgeous 3 bedroom, 1 1/2 bath Ranch sits on a large "corner" lot in a quiet cul-de-sac in the established neighborhood of beautiful Highland Terrace in New Haven, Indiana! This home has been updated with newer windows, doors, and flooring. The spacious eat-in kitchen provides plenty of cooking space while your family or guests can stay cozy and entertained with the built in fireplace...or get everyone involved for a fun evening of food and fellowship! Those built in double-ovens are sure to come in handy during the holidays! The main living room has an open concept feel which opens up to the formal dining room. Need some space? NO problem! This home features an additional heated 4 season room which makes for an excellent extra family room/rec room/bedroom/etc....WITH French doors! The oversized attached 1 car garage has plenty of additional storage for your seasonal equipment if the shed out back can&apos;t fit it all! The master en-suite is just an additional bonus to this lovely home! With a privacy fence around this extra large lot, and a clean slate in the backyard, you can really make this property "your own"...the possibilities are endless! Just a short trip to gas stations, shopping, and a hop, skip, and a jump to New Haven HS and 469.....this home has all the convenience you could expect or want for this location, accept it offers so much more!